I LOVE Josi! I want to win! I've read all of Josi's books! I've loved them all~ AND I was just in Willard, UT visiting from AZ--I had no idea that is where she lived~ What a nice area, I loved all the produce stands~ I'm still waiting for my Pumpkin Roll--pre ordered it from Amazon~ I have to hurry and read, so I can send it onto NC for my daughter's book club! I always enjoy hearing what Josi has to say. Thanks for doing the interview Annette. I feel like eating her book cover. Great books, Great Contest and Great blogs can't ask for anything more. 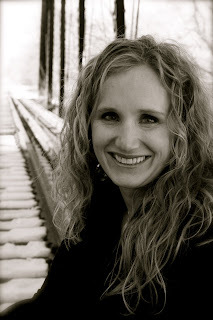 I love The Witch of Blackbird Pond so it's super exciting that a favorite author does as well! Thanks for the interview and giveaway! :D Hope I win! Josi sounds so down to earth. It's nice to see "normal" successful people. And the contest is cool too. I love this series and love the giveaway!!! I love her books! I can't wait for this one! Such a great series. I am so jealous of Josi's writing abilities. Fun! Josi's series is great (though I admit I have a few books to go to catch up). The more I read about Pumpkin Roll, the more I want to read it! Wow - an iPad!?! I would love to win one of those! Of course, I would be happy winning a copy of 'Pumpkin Roll'. I love these books! Fun interview. Thanks! I love all of Josi's books and I am excited about this one! I can't wait... Thanks for this. I saw this book today in my new Deseret Book catalog and was intrigued- the title is one of my favorite fall desserts! What a great giveaway! Great blog and post! Plus, great giveaway! I hope I win! Nice interview! Can't wait to read Pumpkin Roll. Also plan on checking out your books! Great interview. I bet you two had a blast doing it! I've read Key Lime Pie and waiting until my mom gets around to getting the next ones. Oh, pick me! Pick me! For once, I want to win a contest. Actually, once, a long time ago, I won one of Josi's books. Let's do a re-play of that! love me some josi! heard this is the best book yet! Great interview. Josi is an awesome author and I'm looking forward to reading Pumpkin Roll. 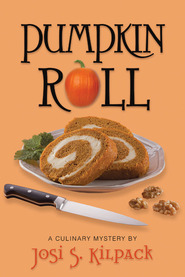 I love all of her books but I love Pumpkin Roll the best so far, you rock Josi!! I recently read Lemon Tart, and I can't wait to work my way through the series!! Fun interview, thanks for participating in the giveaway. Love Josi's books! Can't wait to read Pumpkin Roll! And would LOVE and Ipad! Love this book. Reading it right now. Would love to win! This novel sounds great. I look forward to reading it. I love that Josi's cell phone sounds like chickens. That's a sound you wouldn't miss in a busy store. I just bought Pimpkin Roll and am excited to read it. Josi's books are the best! I haven't been able to get my hands on any of the Sadie mysteries but the first one. I enjoyed it. Currently reading, Her Good Name from the library. I wish I had an ounce of talent to write. Thanks for the advice. I havent read any of Josi's book but I am going to -they sound great! So awesome! I love you both. The pumpkin roll sounds delicious! I like her cell phone sounds like chickens, that's definitely unique!! Fun interview and I can't wait to read your new book together! Four of my favorite authors:) Thanks for the chance to win! Great interview. So excited to read Pumpkin Roll! Way to go Josi. What a fun interview Annette - it's great to meet the author behind the books! Can't wait to read this one! I'm so glad you posted about this on the Utah Bloggers FB page! Of course I'd love to win the iPad, but honestly, I'm always looking for great authors to read and am super excited to have found Josi's books! Thanks for sharing! A chicken ring tone? I love it! And culinary mysteries sound like a delicious combination! Josi sounds fantastic, I can't wait to check out her work. Oh, and yes please to the iPad! Now I want a pumpkin roll. When I was young I had aspirations of growing up and becoming a famous author. Then I got older and became discouraged and real life kicked in...blah blah blah. As an adult, the more authors I meet, the more I realize I'm grateful I'm not, deep down in my soul, a fiction author. Nothing against y'all--I just fight plenty of demons without a story trying to work its way out at the same time. So it's nonfiction blogging for me. Maybe someday I'll write something topical. Who knows. For now I entertain myself and marvel at those of you (Josi, Annette, etc.) who bear the gift and curse of fiction storytelling. Oh, and I want an iPad. The Witch of Blackbird Pond was a favorite book when I was younger. I read it numerous times and still have the well-worn book! I love that you are friends, writing a book together and support each other. Pumpkin Roll is a great way to spend a fall evening. A great book! Oh, I'm reading Pumpkin Roll right now. 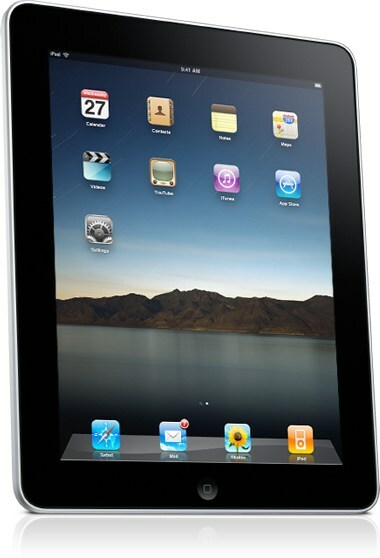 I'd love to win IPad for my hubby for Christmas. Love it! Congratulations on your book launch! Love Pumpkin Roll and Ginger Cookies! Pick me to win! also just read Band of Sisters -I was wandering around the library looking for a new book to read and found it- Awesome! I love reading these books. All the recipes sound amazing! Pumpkin Roll was another one of those amazing books by Josi Kilpack, I continue to love to read her great mystery books! Exciting! Can't wait to read the Book... Such a great giveaway too! I love mysteries, and I would love an iPad. Thanks. Fun interview! Chocolate-covered cinnamon bears and coke slurpees. I am craving now. LOL The Newport Ladies Book Series sounds interesting. Nice giveaway! Thanks to you, Josi S. Kilpack and Shadow Mountain for it! I'd be stoked to win! Thanks for sharing the interview with Josi. Sounds like a fun cozy and a great contest. I have so loved this series. Sadie is a wonderful character and Josi is just a terrific writer. I would love to win the IPad and I'm looking forward to reading these books. She's a good writer. Oh, my gosh! I already read the first book and I was completely hooked! Can't wait to read Pumpkin Roll...I hope I get it for Christmas! I love this series and I'm looking forward to reading Pumpkin Roll. Thanks for the great stories. I am excited to read this book! I hope I win! I would love to read this book. Thanks for sharing!